Robert “Bob” Phillip Baker was born the day before Thanksgiving on November 25, 1942 in Hamtramck, Michigan. He was the only child of Stanley and Eleanor Baker. A curious and intelligent four-year-old, Bob’s parents enrolled him in first grade at St. Josaphat Catholic School. That fortunate move inspired Bob to continue his education, at the University of Detroit Jesuit High School, and at the University of Detroit where he earned his BS and DDS degrees. Upon graduation, Dr. Baker worked as a general dentist in Trenton. He served in the U.S. Navy Reserves for six years, rising to the rank of Lt. Commander. After two years of general dentistry, Bob left to pursue a residency in oral and maxillofacial surgery at the VA Medical Center in Allen Park. He passed the boards and opened his oral surgery practice in Mt. Clemens in 1972. He was age 30. Bob learned the value of service, hard work, and contributing to society. In 1972 he could put those values to work. Besides opening his practice, he was invited that year to join the Mt. Clemens Rotary Club. And a year later, he married Margo Lawrence, an elementary school teacher. The two became an inseparable team. Service Above Self is Rotary’s motto and it became one Bob applied to his life. He wasn’t content to just practice and relax afterward. Instead, he joined the faculty of his alma mater teaching oral surgery, retiring in 2000 as a Clinical Adjunct Professor. Every dental student who went through the U of D Dental school from 1974 to 2000 found himself in Dr. Baker’s classroom. Bob found time to serve on many hospital committees, plus being president of three professional societies. Rotary was fascinating Bob at the same time. After several committee chairmanships, including the club’s fundraiser, Bob was president of the Mt. Clemens Rotary in 1989-90. His tenure produced the Mt. Clemens Rotary Foundation, the club’s 501-c charitable arm, in 1990 and Bob was its first president. The club had hosted exchange students through Rotary’s Youth Exchange program for years. Rotarians were often needed to help with hosting duties. As the club’s president, Bob felt he and Margo should step up. And step up they did. They were host parents or counselors for eight (8) Rotary Youth Exchange students and hosts for three (3) Rotary Group Study Exchange groups. 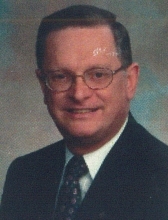 Bob became the Rotary District 6380 Outbound Youth Exchange Chair in 1996. In 2000 Bob retired from practice and teaching. And the couple devoted themselves to Rotary. Seeing how Rotary worked on the district level intrigued the couple. Bob went through the ranks, from assistant governor to District 6380 Governor for the Rotary year 2005-6. Very few take the route Bob did. He is the second of two district governors coming from the Mt. Clemens Rotary. Bob and Margo became world travelers. In addition to personal travel, they attended every Rotary International convention for ten years. Though they never had children of their own, they were parents to the “world,” the strangers they took into their home with whom they created lasting friendships. Dr. Robert Baker is survived by his loving wife Margo; cherished brother-in-law of Denise and Tom; beloved uncle of Jen and Chris; dear great uncle of Addison, Peyton, and Tarynn; and treasured nephew of Pat. Robert is also survived by many dear cousins, colleagues, and friends. Memorial contributions in honor of Dr. Baker may be made to the Mt. Clemens Rotary Foundation or the Rotary International Foundation or the Society of Vincent DePaul at St. Louis Church. A memorial visitation will take place, Friday, May 10th from 2PM to 8PM at Lee-Ellena Funeral Home, 46530 Romeo Plank Rd., Macomb. A funeral Mass will be celebrated at 11AM next day, May 11th, at St. Louis Catholic Community 24415 Crocker Blvd, Clinton Twp., 48036. In state, or gathering time, 10:30 AM. Cremation has taken place. A private family inurnment will take place at Resurrection Cemetery on a later date. To send flowers or a remembrance gift to the family of Robert Philip Baker, please visit our Tribute Store. Guaranteed delivery before Robert's visitation begins. Instate, or gathering time, 10:30 AM. Guaranteed delivery before Robert's funeral mass begins. "Email Address" would like to share the life celebration of Robert Philip Baker. Click on the "link" to go to share a favorite memory or leave a condolence message for the family.